we are leading suppliers & exporters of Sofosbuvir Tabletsin China, Russia, Hongkong, Bulgaria, Romania, India. Description - The Brand name of this medicine is Sofab . Sofab medicine contains generic Sofosbuvir . Sofosbuvir are available in form of Tablets. Each Coated Tablet contains 400 Mg Sofosbuvir. One Pack of Sofab 28 Tablets. Manufacturer & Marketed company name of Sofab is Ranbaxy Pharma Ltd, India. USED - Sofab is an antiviral medication that prevents hepatitis C virus from multiplying in your body. Warning: Sofab medicine out of the reach and sight of children and away from pets, never share your medicines with others, and use this medication only for the indication prescribed. The information contained herein is not intended to cover all possible uses, directions, precautions, warnings, drug interactions, allergic reactions, or adverse effects. Description - The Brand name of this medicine is Virso . Virso medicine contains generic Sofosbuvir . Sofosbuvir are available in form of Tablets. Each Coated Tablet contains 400 Mg Sofosbuvir. One Pack of Virso 28 Tablets. Manufacturer & Marketed company name of Virso is Strides Acrolab Ltd, India. USED - Virso is an antiviral medication that prevents hepatitis C virus from multiplying in your body. Warning: Virso medicine out of the reach and sight of children and away from pets, never share your medicines with others, and use this medication only for the indication prescribed. The information contained herein is not intended to cover all possible uses, directions, precautions, warnings, drug interactions, allergic reactions, or adverse effects. Description - The Brand name of this medicine is Hepcinat . Hepcinat medicine contains generic Sofosbuvir . Sofosbuvir are available in form of Tablets. Each Coated Tablet contains 400Mg Sofosbuvir. The colour of the Natdac Tablet is Red oxide of iron & Titanium Dioxide. One Pack of Hepcinat 28 Tablets. Manufacturer & Marketed company name of Hepcinat is Natco Pharma Ltd, India. USED - Hepcinat Tablet is an antiviral medicine used in the treatment of chronic hepatitis C infection. It is also used in patients with liver cancer and hepatitis C infection who are planning to have a liver transplantation. Warning: Hepcinat medicine out of the reach and sight of children and away from pets, never share your medicines with others, and use this medication only for the indication prescribed. The information contained herein is not intended to cover all possible uses, directions, precautions, warnings, drug interactions, allergic reactions, or adverse effects. Description - The Brand name of this medicine is Viroclear . 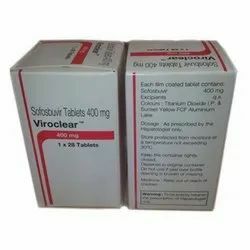 Viroclear medicine contains generic Sofosbuvir . Sofosbuvir are available in form of Tablets. Each Coated Tablet contains 400 Mg Sofosbuvir. One Pack of Viroclear 28 Tablets. The colour of the Viroclear Tablet is Titanium Dioxide & Sunset Yellow FCF Aluminium Lake. Manufacturer & Marketed company name of Viroclear is Abbott, India. USED - Viroclear is an antiviral medication that prevents hepatitis C virus from multiplying in your body. Warning: Viroclear medicine out of the reach and sight of children and away from pets, never share your medicines with others, and use this medication only for the indication prescribed. The information contained herein is not intended to cover all possible uses, directions, precautions, warnings, drug interactions, allergic reactions, or adverse effects. Description - The Brand name of this medicine is Sofocure . Sofocure medicine contains generic Sofosbuvir . Sofosbuvir are available in form of Tablets. Each Coated Tablet contains 400 Mg Sofosbuvir. One Pack of Sofocure 28 Tablets. Manufacturer & Marketed company name of Sofocure is Emcure Pharma Ltd, India. USED - Sofocure is an antiviral medication that prevents hepatitis C virus from multiplying in your body. Warning: Sofocure medicine out of the reach and sight of children and away from pets, never share your medicines with others, and use this medication only for the indication prescribed. The information contained herein is not intended to cover all possible uses, directions, precautions, warnings, drug interactions, allergic reactions, or adverse effects. Description - The Brand name of this medicine is Novisof . Novisof medicine contains generic Sofosbuvir . Sofosbuvir are available in form of Tablets. Each Coated Tablet contains 400 Mg Sofosbuvir. One Pack of Novisof 28 Tablets. Manufacturer & Marketed company name of Novisof is Strides Wockhardt, India. 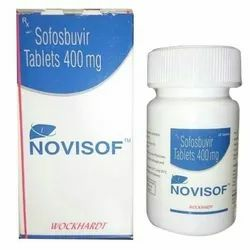 USED - Novisof is an antiviral medication that prevents hepatitis C virus from multiplying in your body. Warning: Novisof medicine out of the reach and sight of children and away from pets, never share your medicines with others, and use this medication only for the indication prescribed. The information contained herein is not intended to cover all possible uses, directions, precautions, warnings, drug interactions, allergic reactions, or adverse effects. Description - The Brand name of this medicine is Myhep . 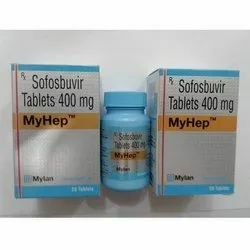 Myhep medicine contains generic Sofosbuvir . Sofosbuvir are available in form of Tablets. Each Coated Tablet contains 400Mg Sofosbuvir. One Pack of Myhep 28 Tablets. Manufacturer & Marketed company name of Myhep is Mylan Pharma Ltd, India. USED - MyHep Tablet is an antiviral medicine used in the treatment of chronic hepatitis C infection. It is also used in patients with liver cancer and hepatitis C infection who are planning to have a liver transplantation. Warning: Myhep medicine out of the reach and sight of children and away from pets, never share your medicines with others, and use this medication only for the indication prescribed. The information contained herein is not intended to cover all possible uses, directions, precautions, warnings, drug interactions, allergic reactions, or adverse effects. Description - The Brand name of this medicine is Sofovir . 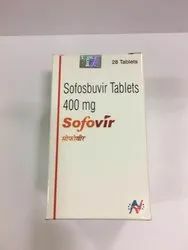 Sofovir medicine contains generic Sofosbuvir . Sofosbuvir are available in form of Tablets. Each Coated Tablet contains 400 Mg Sofosbuvir. One Pack of Sofovir 28 Tablets. Manufacturer company name of Sofovir is Hetero Labs Ltd And Marketed company name of Sofovir is Hetero Healthcare Ltd, India. 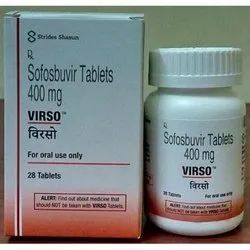 USED - Sofovir is an antiviral medication that prevents hepatitis C virus from multiplying in your body. Warning: Sofovir medicine out of the reach and sight of children and away from pets, never share your medicines with others, and use this medication only for the indication prescribed. The information contained herein is not intended to cover all possible uses, directions, precautions, warnings, drug interactions, allergic reactions, or adverse effects. Description - The Brand name of this medicine is Hepcvir . Hepcvir medicine contains generic Sofosbuvir . 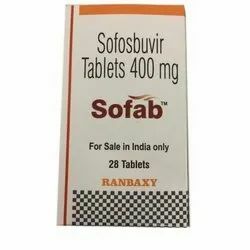 Sofosbuvir are available in form of Tablets. Each Coated Tablet contains 400 Mg Sofosbuvir. One Pack of Hepcvir 28 Tablets. Manufacturer & Marketed company name of Hepcvir is Cipla Pharma Ltd, India. 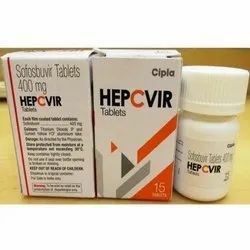 USED - Hepcvir is an antiviral medication that prevents hepatitis C virus from multiplying in your body. Warning: Hepcvir medicine out of the reach and sight of children and away from pets, never share your medicines with others, and use this medication only for the indication prescribed. The information contained herein is not intended to cover all possible uses, directions, precautions, warnings, drug interactions, allergic reactions, or adverse effects. Description - The Brand name of this medicine is Myhep Dvir . 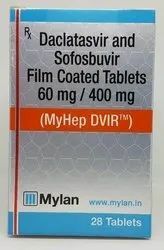 Myhep Dvir medicine contains generic Sofosbuvir & Daclatasvir . Sofosbuvir & Daclatasvir are available in form of Tablets. Each Coated Tablet contains 400Mg Sofosbuvir & 60 Mg Daclatasvir. One Pack of Myhep Dvir 28 Tablets. Manufacturer & Marketed company name of Myhep Dvir is Mylan Pharma Ltd, India. USED - Myhep Dvir is used in the treatment of chronic hepatitis C virus (HCV) infection. Warning: Myhep Dvir medicine out of the reach and sight of children and away from pets, never share your medicines with others, and use this medication only for the indication prescribed. The information contained herein is not intended to cover all possible uses, directions, precautions, warnings, drug interactions, allergic reactions, or adverse effects. Description - Brand name is Hepcinat Lp. 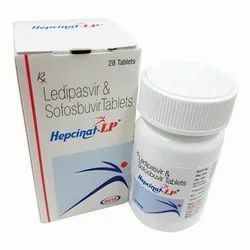 Hepcinat Lp medicine contains generic Ledipasvir and Sofosbuvir. Ledipasvir and Sofosbuvir available in form of tablets. Each film coated tablets contains 90 Mg Ledipasvir and 400Mg Sofosbuvir.The colour of the Hepcinat Lp Tablet is Yellow oxide of iron,Titanium Dioxide IP and FD&C Blue. One Pack of Hepcinat Lp contains number of tablets is 28. Manufacturer & Marketed company name of Hepcinat Lp is Natco Pharma Ltd, India. USED - Hepcinat-Lp Tablet helps in the treatment of chronic hepatitis C (HCV). This drug is used in a combination with another drug, to prevent the spread of HCV throughout the body. Dosage- As see package insert for dosage and administration. 7. Manufactured & Marketed By – Natco Pharma Ltd. 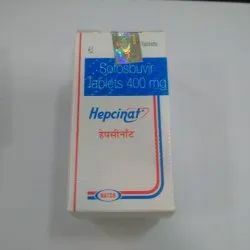 Warning: Hepcinat Lp medicine out of the reach and sight of children and away from pets, never share your medicines with others, and use this medication only for the indication prescribed. The information contained herein is not intended to cover all possible uses, directions, precautions, warnings, drug interactions, allergic reactions, or adverse effects. Description - The Brand name of this medicine is Hepcinat Plus . Hepcinat Plus medicine contains generic Sofosbuvir & Daclatasvir . Sofosbuvir & Daclatasvir are available in form of Tablets. Each Coated Tablet contains 400Mg Sofosbuvir & 60 Mg Daclatasvir. One Pack of Hepcinat Plus 28 Tablets. Manufacturer & Marketed company name of Hepcinat Plus is Natco Pharma Ltd, India. USED - Hepcinat Plus is used in the treatment of chronic hepatitis C virus (HCV) infection. Warning: Hepcinat Plus medicine out of the reach and sight of children and away from pets, never share your medicines with others, and use this medication only for the indication prescribed. The information contained herein is not intended to cover all possible uses, directions, precautions, warnings, drug interactions, allergic reactions, or adverse effects. Description - The Brand name of this medicine is Sovihep . Sovihep medicine contains generic Sofosbuvir . Sofosbuvir are available in form of Tablets. Each Coated Tablet contains 400 Mg Sofosbuvir. One Pack of Sovihep 28 Tablets. Manufacturer & Marketed company name of Sovihep is Zydus Heptiza, India. 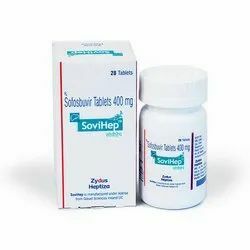 USED - Sovihep is an antiviral medication that prevents hepatitis C virus from multiplying in your body. Warning: Sovihep medicine out of the reach and sight of children and away from pets, never share your medicines with others, and use this medication only for the indication prescribed. The information contained herein is not intended to cover all possible uses, directions, precautions, warnings, drug interactions, allergic reactions, or adverse effects. Description - The Brand name of this medicine is Resof . Resof medicine contains generic Sofosbuvir . 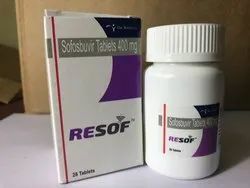 Sofosbuvir are available in form of Tablets. Each Coated Tablet contains 400 Mg Sofosbuvir. One Pack of Resof 28 Tablets. Manufacturer & Marketed company name of Resof is Dr. Reddy's Labs, India. USED - Resof is an antiviral medication that prevents hepatitis C virus from multiplying in your body. Warning: Resof medicine out of the reach and sight of children and away from pets, never share your medicines with others, and use this medication only for the indication prescribed. The information contained herein is not intended to cover all possible uses, directions, precautions, warnings, drug interactions, allergic reactions, or adverse effects. 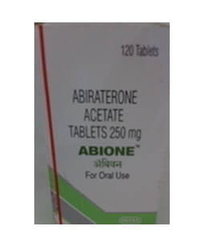 Abiraterone acetate is a steroidal CYP17A1 inhibitor and by extension androgen synthesis inhibitor which is used in combination with prednisone in metastatic castration-resistant prostate cancer (previously called hormone-resistant or hormone-refractory prostate cancer. • Abione is a prescription drug and should be used under proper medical guidance and advice. Do not share the medicine with others, since they may be suffering from a problem that is not effectively treated by this drug. • The information contained herein is not intended to cover all possible uses, directions, precautions, warnings, drug interactions, allergic reactions, or adverse effects. If you have questions about the drugs you are taking, check with your doctor, nurse or pharmacist. Self medication can be dangerous.